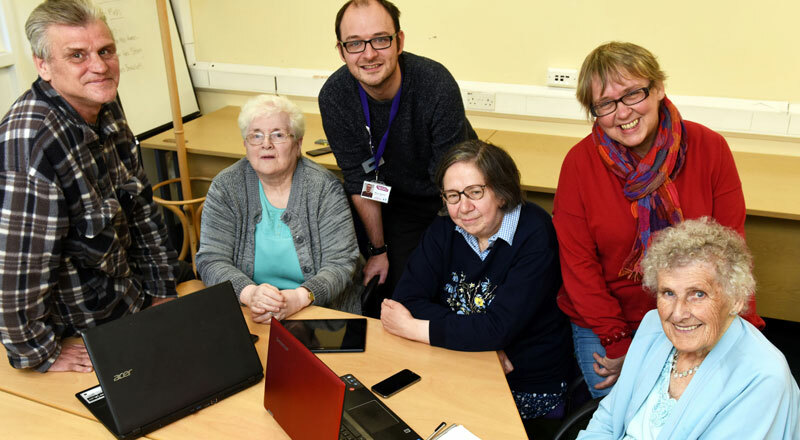 Teesside University researchers have played a vital role in helping a group of older Middlesbrough residents develop links within their own community. Researchers Andrea Mountain and Alison Jarvis, from the University’s School of Social Sciences, Humanities & Law, previously put out a call for 'community researchers' as part of a wider project to tackle loneliness and isolation among older people in Middlesbrough. A group of residents interested in investigating loneliness and isolation emerged, with those involved keen to continue meeting as a group and involve more of the local community. Andrea said: 'The group members were initially involved in gathering research as part of the wider project tackling loneliness and isolation. However, when that research was completed, the group members were keen to continue in some way. 'They have been able to use Langridge Initiative Centre as their base and have formed their own community group, calling themselves LEGs & Co. The group has been organising events which are open to everyone across the community, with the aim of sharing advice and providing a social hub to reach people who might otherwise feel lonely or isolated. The work that Teesside University is doing with us is a valuable tool in helping our programme improve and develop. The University’s involvement comes through its partnership with Ageing Better Middlesbrough, a six year programme supported by Big Lottery Fund using National Lottery Funding. The project aims to address the impact loneliness and isolation has on the town’s older population and the University's research team worked with residents to gather stories and experiences from local people. Hannah Warburton, Communications Manager at Ageing Better Middlesbrough, said: 'We are constantly learning what works and what barriers there are to helping people who are over 50 feel less lonely and isolated in our communities. For further information about LEGs & Co.
More info on the Langridge Initiative Centre and Ageing Better Middlesbrough.